If you are looking for quality socks in classic but comfortable style, this category of socks for men is for you. We offer you the best models of socks for men of brands like EMINENCE and HOM in sober and elegant colors. You can choose between cotton socks or socks in the thread of Ecosse of sensitive feet. 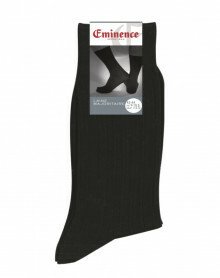 The Eminence brand socks offer quality materials and elegant finishes. 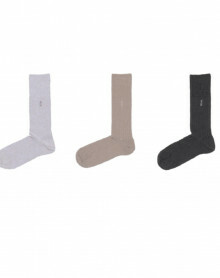 Socks are a must in men's drawers whether it's for sports, everyday wear or cold. For the sport, the thick socks will be preferred while for the daily life, finer socks will be perfect. The socks are infinite. There are all sizes, colors, patterns and materials. From the simplest to the most classic, from plain colors to tiles, Aztec patterns, choose the pair that suits you best in order to match your personality. We offer high-quality men's socks for optimal comfort with HOM and EMINENCE brands.